These 357 Mag rounds from Buffalo Bore are lead-free with an 125-grain XPB Hollow Point bullet from Barnes Bullets. These rounds will function well as both a means for self-defense and for hog or boar hunting. The 125-grain bullet travels at high velocity and the XPB Hollow Point is known for its excellent expansion. The 125 grain XPB Hollow Point Bullet was developed by Barnes Bullets specifically for self-defense purposes. 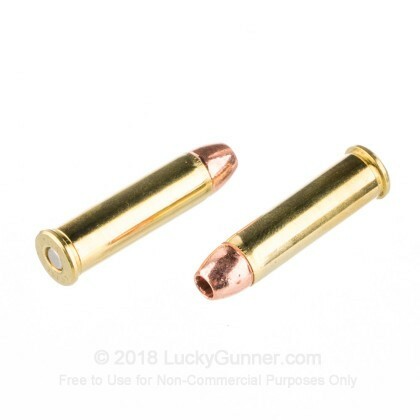 The bullet is made from solid copper, which is long-lasting and durable, and being lead-free, the bullet will not fragment like a solid lead bullet. These attributes make this bullet extremely effective with consistent and tremendous expansion upon impact. 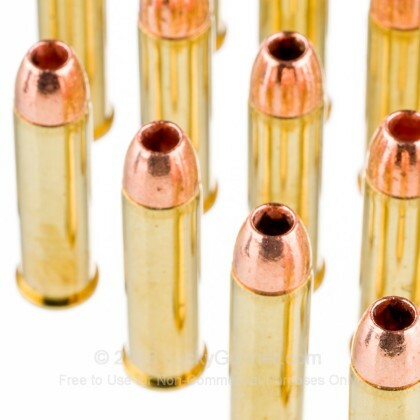 While in some cases, lead bullets might be prohibited from use, this alternative should be effective, clean, and legal. Buffalo Bore Ammunition manufactures in Montana. They proudly test their ammo with the weapons that you will likely shoot so that performance is consistent in real-world conditions. 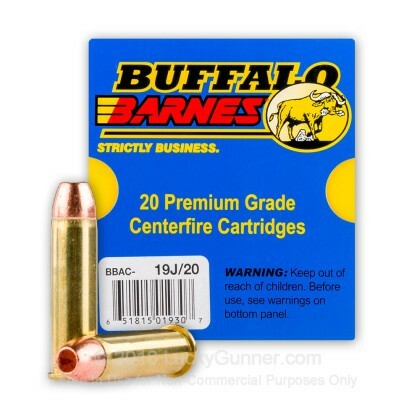 Buffalo Bore has partnered with Barnes Bullets to produce the Buffalo Barnes line of ammunition that is completely lead-free. 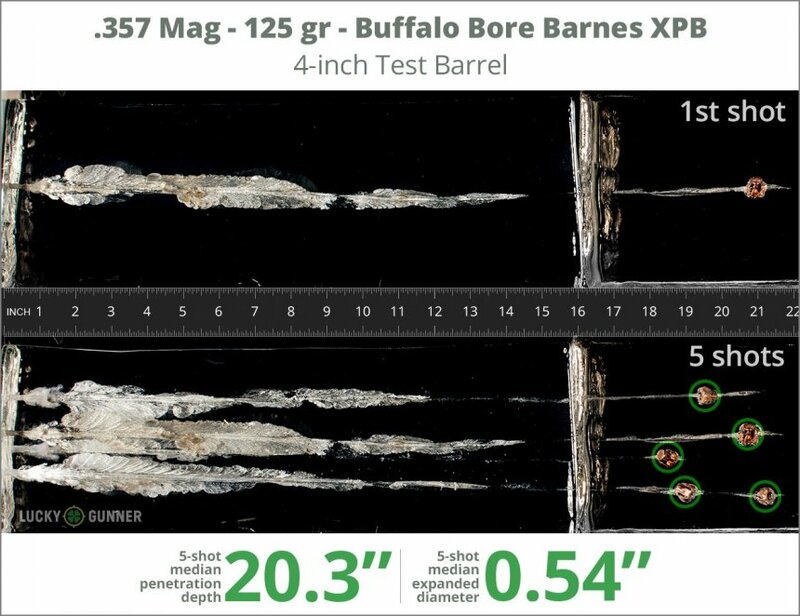 After firing five rounds of Buffalo Bore 125 gr Barnes XPB from a Kimber K6s into synthetic ballistic gelatin from 10 feet away through four layers of fabric to simulate clothing, we then measured the expansion and penetration of the bullets for this .357 Magnum load, which you can see in the chart below. 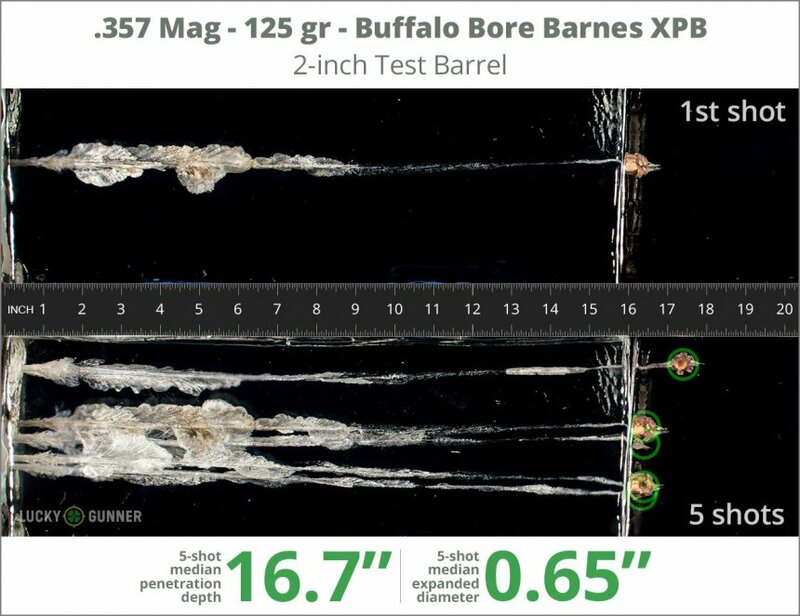 Finally, if you'd like to see how this Buffalo Bore load compares to other .357 Magnum loads, check out the diagrams at the bottom of the page. Want to know more about our ballistic gelatin testing and self-defense ammo? Check out Lucky Gunner Labs for more information. 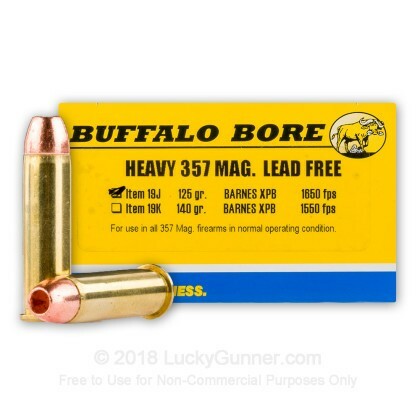 How do the results for this Buffalo Bore .357 Magnum compare to other 357 Magnum Ammo? 0.75" This ammo: 0.65" Min: 0.35" Median: 0.55" Max: 0.75"
16.7" 0" 9.2" 17.3" 41.7" This ammo: 16.7" Min: 9.2" Median: 17.3" Max: 41.7"
After firing five rounds of Buffalo Bore 125 gr Barnes XPB from a Ruger GP100 into synthetic ballistic gelatin from 10 feet away through four layers of fabric to simulate clothing, we then measured the expansion and penetration of the bullets for this .357 Magnum load, which you can see in the chart below. 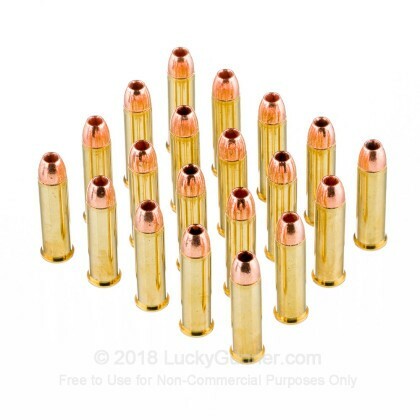 0.75" This ammo: 0.54" Min: 0.35" Median: 0.55" Max: 0.75"
20.3" 0" 9.2" 17.3" 41.7" This ammo: 20.3" Min: 9.2" Median: 17.3" Max: 41.7"
Its performance is AWESOME ! I purchased the B/B-Barnes 125gr H.P. (s) about 3months ago. Although a little on the "pricey" side, I really don't care. I own many .357mag revolvers but primarily carry a 3" mod. 60 ! I'll admit that it's BRUTAL from the little J-Frame. It's best when fired from larger framed revolvers. As for the round itself, it's a &%$*en "barn-burner"; vicious! When this round impacts with the intended target .........boy-o-boy ...... it's AWESOME! ULTIMATE .357 Magnum factory power loads! 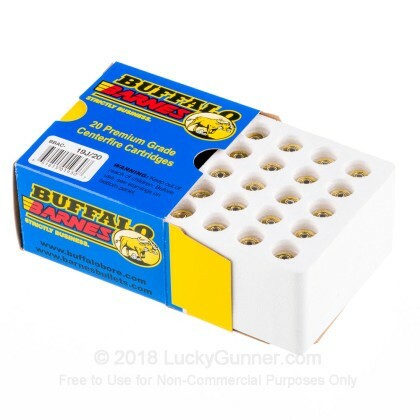 I bought 3 boxes of these to try out for a carry load in a J-frame snub....As an experienced magnum revolver shooter, I feel these would be right at home, in a 4" or better N-frame S&W, Ruger Super Redhawk or Colt Python revolver, but these are a tad much for a snub revolver! They ARE highly accurate, but follow-up shots in a light snubbie are VERY hard to achieve; they were hard to extract after firing, and they were so powerful, the extractor rod started to unscrew after 5 rounds, lol! I LOVE these rounds, but keep 'em in a larger-framed revolver for control.....If you want the ULTIMATE factory power load for your .357, THIS is your Huckleberry!